Ron Paul's "Farewell to Congress"
You can view all of our Ron Paul books here. 1. How Much Did I Accomplish? This collects his greatest speeches and debates on economics over the last 30 years. It was written in 1987, on the 200th anniversary of the Constitution, and is back in print for the first time. 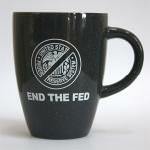 End the Fed logo on one side - Mises.org Economics of Freedom on the other. The New York Times bestseller, and, quite possibly, the biggest selling libertarian book of all time! 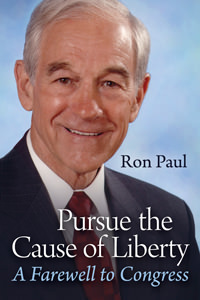 Digital eBook Edition of Ron Paul's "Farewell to Congress" speech.